Nepalese writing is also known as Nepali and it comes from Devanagari script similar to Hindi and Sanskrit. It is widely used in everyday use throughout Nepal. 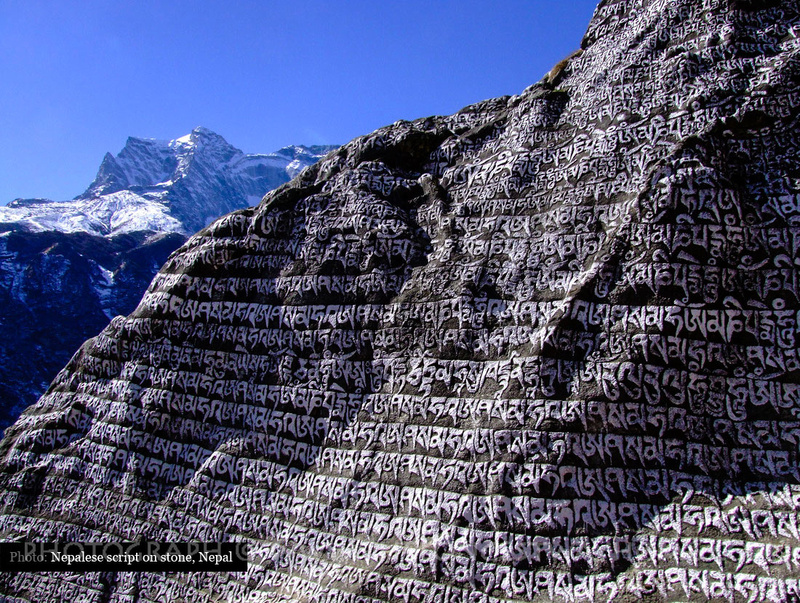 If you go trekking in Nepal you will find large boulders, stone pillars and rocks painted or engraved with Nepalese writing. Much of this writing is in the form of Buddhist prayers or chants. "Om mani padme hum" being one of the most popular chants meaning "Generosity Ethics Patience Diligence Renunciation Wisdom".